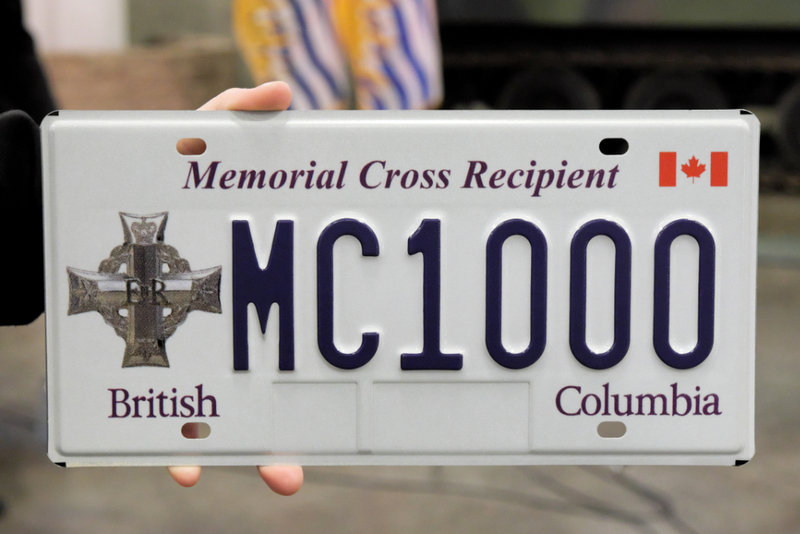 The British Columbia Government has issued a new vehicle licence plate to recognize and honour British Columbia residents who have been presented with a Memorial Cross. 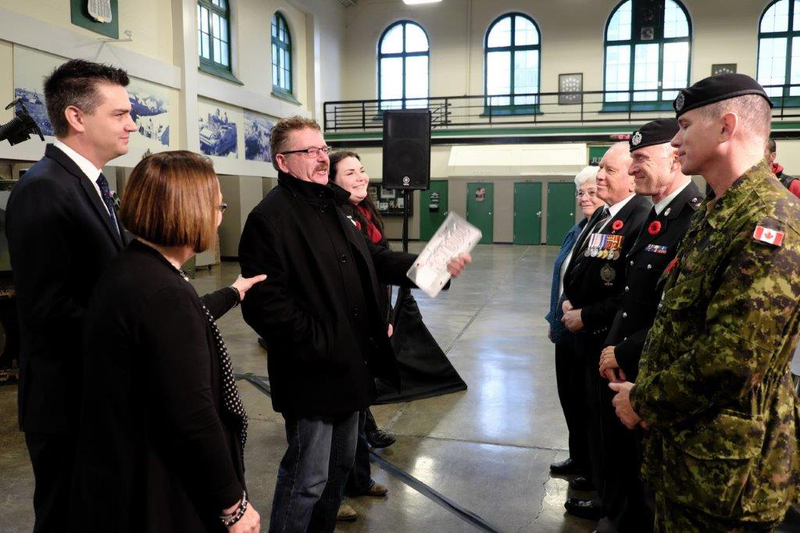 President Archie Steacy and Lynda Steacy were invited to attend a ceremony, conducted by Minister Todd Stone and Minister Shirley Bond to announce the establishment of the British Columbia Memorial Cross licence plate, at a ceremony conducted on 10 November 2016 at the British Columbia Regiment (DCO) Drill Hall. 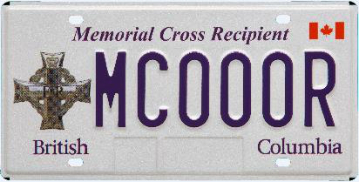 The first plate was presented to Prince George resident Mr. Ron McCully, whose son, Cpl. Matthew McCully, was killed in Afghanistan in 2007. 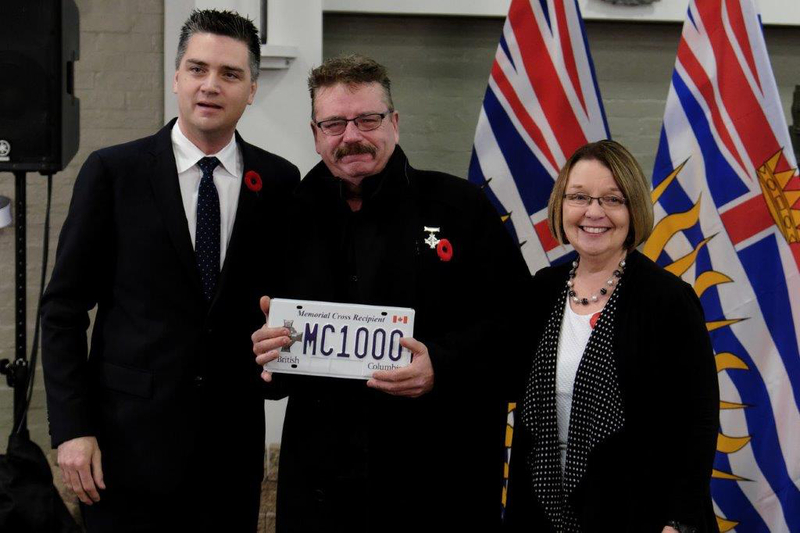 Image: L to R: The Honourable Todd Stone, MLA, Mr. Ron McCully and The Honourable Shirley Bond, MLA.